I made it! I made it to the end of July (I knew that I would). The last couple months have been a big grind but things are about to shift into a new gear. August brings with it some vacation time and I'm officially off work for a couple weeks. Unofficially...I might have to pop in for a day or two to get some stuff ironed out before and even bigger trip. Can't divulge much on that one at this time but I can definitely say that August will be an exciting month. In the card collecting world, things have been pretty quiet. A couple new releases here and there but nothing that really gets me excited anymore (more on that in a later post). I've picked up a few cards (thanks to Kevin and his US address) and so I did some scanning this afternoon. I've got to say that even though things have slowed down considerably from 2-3 years ago, I can still jump into this hobby and have a blast. Hunting for stuff, digging for a great deal, chatting topics with others and enjoying the pickups that others track down. It's a great world. I recently popped into one of the local hobby shops and not soon after was hit with this card. The other thing I love about this hobby is that people look out for one another (thanks Captain Canuck). 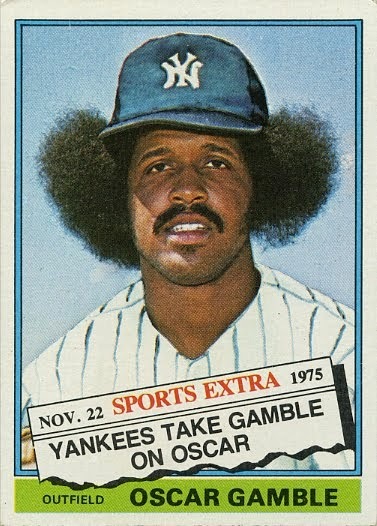 I've done a fair job in advertising what my various projects are and a lot of people know to put Linden cards, mask cards, Oscar Gamble cards and Stanley Cup raising cards aside (or at least in the back of their heads for future access). And while it had a healthy price attached to it, I'm always happy to pay a little bit more to obtain something locally. This offering has slid down the price chart considerably of late and is now selling for $4-5us on eBay. I paid a little bit more and that's.....OK. Like I said....it's the price for buying local - and I'm good with that. I still am struck by how much I like the looks of these cards. What a fantastic concept and execution done on them by Upper Deck. In the interest of picking up more great deals, I finally started a COMC account (I had been using a fellow hobby friend as my go to for COMC pickups and thought it was about time I just buck up and do it myself). One of my first purchases was another card from this great set. Who knows how long it will be before I have it shipped...I'm likely to wait until I get a few cards in my purchase pile. So stay tuned. Looking forward to sharing more of my recent finds and I might even dip into the closet and pull out some hidden gems. It's August!!! 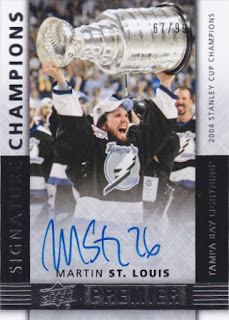 It's hockey card time......right?